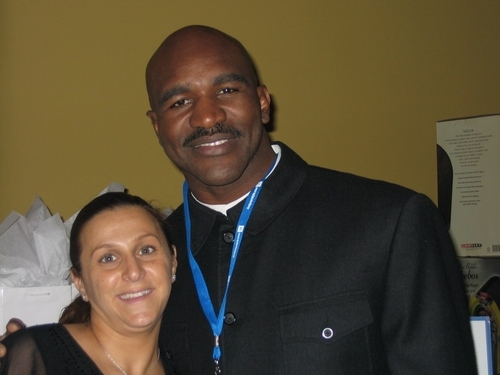 Heavyweight Champion Evander Holyfield At Ziamond Cubic Zirconia CZ Jewelers. Ziamond specializes in the finest quality Cubic Zirconia cz jewelry set in 14k gold, 18k gold and platinum. Ziamond cubic zirconia cz and gems are the finest lab created man made gems available today and come with a Lifetime Guarantee. All Ziamond cubic zirconia cz stones are cut to exact diamond standards, assuring the true look and brilliance of a genuine diamond.